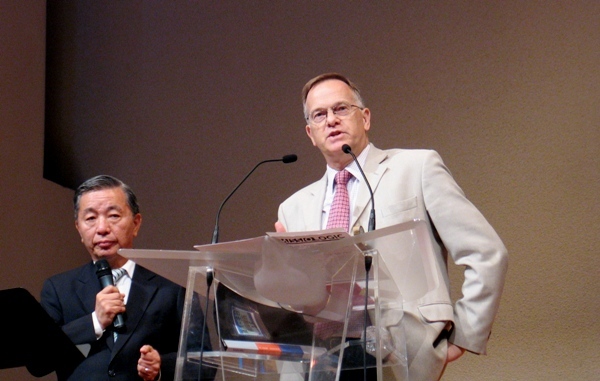 On 13 June 2009, Langham Foundation Hong Kong co-sponsored two seminars conducted by Chris Wright, international director of Langham Partnership International, at EFCC Yan Food Church in Hong Kong. Approximately 800 scholars and pastors were in attendance as Chris offered a catalytic message: to understand the Bible as a recording of God’s mission. Read the full story on the seminars and their impact on Chinese Christian church leaders on the Gospel Herald web site.